Brand New - Visit the Lost Valley! 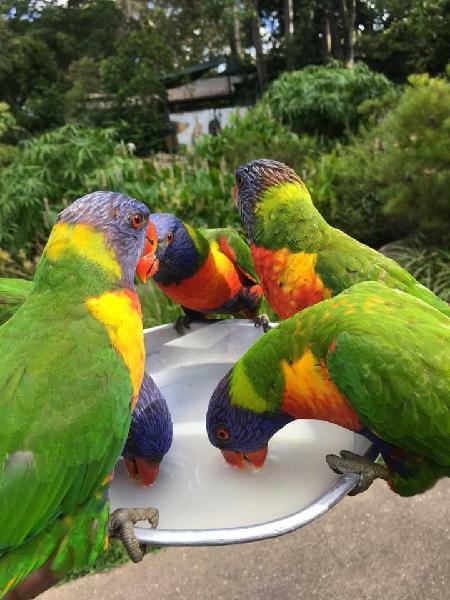 Currumbin Wildlife Sanctuary's BRAND NEW Lost Valley is now open! Come and check out the new animals! Featuring 5 hectares of lush tropical rainforest, Lost Valley takes guests on a journey through the ancient supercontinent Gondwana where they will interact with exotic species including friendly Ring Tail lemurs, Cotton-top tamarins, Red panda, Capybaras, free-flying birds, exotic reptiles and so much more. 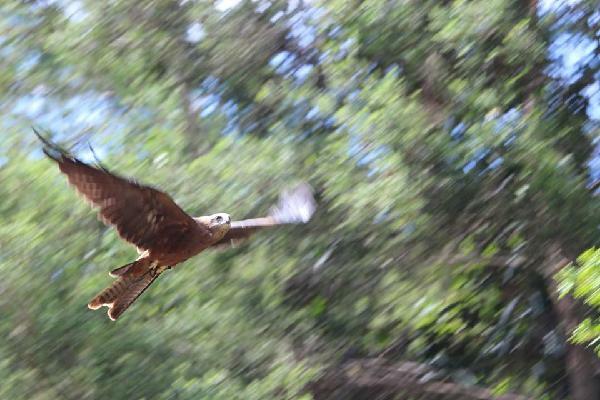 See over 1000 native animals nestled within 27 hectares of lush Eucalyptus trees and rainforest. You will get to see many of Australia’s iconic species displayed in their natural habitat. Take part in optional interactive wildlife opportunities, such as cuddling a koala, feeding a kangaroo, walk a wombat, enjoy a dingo experience or do a behind the scenes tour. Live shows daily, meet Blinky Bill and friends and get a bird’s-eye-view of our vets in action at the amazing wildlife hospital. Optional upgrades are available for a guided Segway Safari. Had the best day out at the Currumbin Wildlife sanctuary.. Its easy to navigate well sign posted . An array of animals and species all looking healthy and happy Koala's hilarious having a family squabble whilst all hanging out in the same tree. Best bit was feeding and petting the Kangsroos it was a dream to be up so close to them . Plenty of volenteer keepers making sure no one over stepped the mark with them . Only issue was the foid inside the park qas expensive if you have a family . There were numerous places to sit and relax in the shade I suggest a picnic and plenty of water . Look forward to going back there one day . 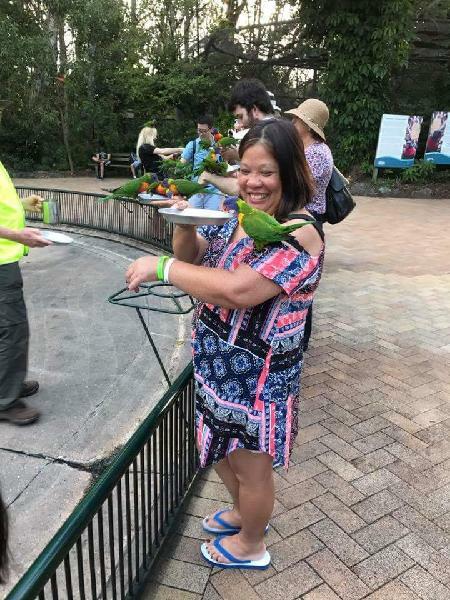 Great day out ..
Its really nice to touch the Kangaroi and feed the birds. Train is good for the kids to experience too. 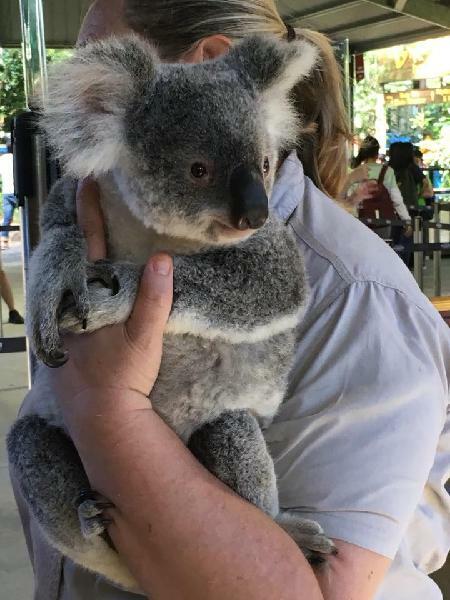 Fantastic experience, wonderful staff and so many different types of animals, koala experience was amazing and loved little "snow" the 15 month old little girl. Staff really care about the animals and even one helped push mums wheelchair to the one side of the park. Thanks for a great day. The free flight bird show was wonderful as the birds fly just over your heads. Take sunscreen for your day and also do the train throughout the park. Make sure you book in advance for any interactions and get the wild pix card for professional photos online before the day and then you are able to download them online 24 hrs after your day of fun. Wonderful day out for a aussie adventure with the whole family lots of fantastic animals to see its deffently worth the money will deffently visit here again..
For me and my daughter the highlights were the crocodile feeding, playground, kangaroo feeding and the train ride. The staff were very helpful - I forgot to bring my ticket and they helped me to sort it out. I found that the information maps around the park wern't very helpful (no "you are here" dots on them) and there was a lot of construction going on. Otherwise a nice visit. Your message has been sent to Currumbin Wildlife Sanctuary - General Admission. You should hear from them shortly. Please note: all responses will come directly from Currumbin Wildlife Sanctuary - General Admission, and not the team at Bookme.